A lot of visitors to New Zealand hire a campervan as a great way to get around, but in doing so they are missing out on one of the magic things about New Zealanders – their hospitality. If you must hire a campervan – my suggestion is hire it in the South Island – from Christchurch and return. There are lots of flights in and out of Christchurch, even some international ones, and it saves you the cost of a one way hire, or a long drive to return it back to Auckland. In the North Island hire a car for a few days… and if you do not have a long time for your stay, fly between main centres. New Zealand roads are often narrow and winding, so driving takes longer than you think, especially in a Campervan. What Accommodation would I recommend in New Zealand? Campgrounds: You do not need a tent – most campgrounds have a range of accommodation from camping, to small cheap cabins to self contained units – you might need to book ahead in peak season. 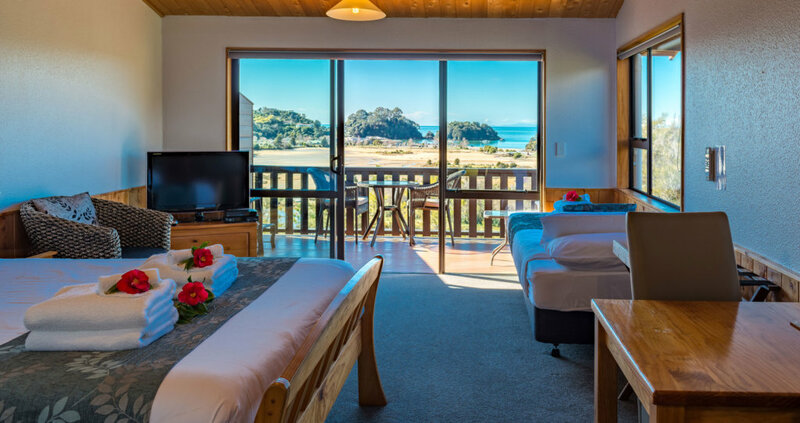 Go B&B – staying in the homes of New Zealanders is a great way to meet the locals and find out the special local spots. Focus on places away from main tourist spots. Stay in Women’s Accommodation – the Womens Accommodation Network started in New Zealand, and has a small selection of women owned places to stay. Hotels: I am not a hotel person because it often feels like you could be anywhere in the world. However my two favourite hotels in New Zealand are the Copthorne at Omapere and Waitangi in Northland – fabulous locations, and strong Maori influences. Try a Spa – my favourite is Kimi Ora Eco Resort near the Abel Tasman National Park. Not expensive, great location and facilities. Read more about my recent visit there.